Unlike the Cheese Sable, these are specifically aimed at complementing a cheese board. 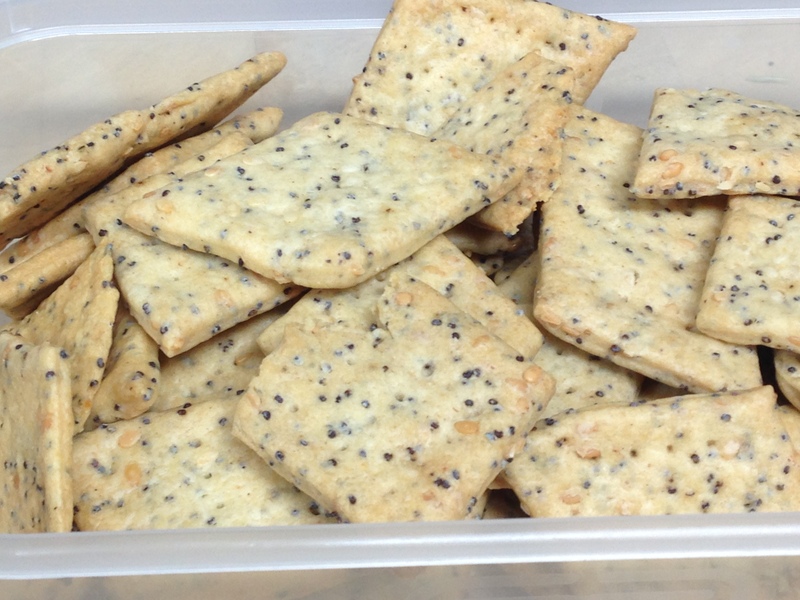 A traditional dry cracker with a ‘snap’, vary the seeds to give different effect. The dough can be stored in the fridge for a couple of days, or roll out, cut and freeze raw until needed.